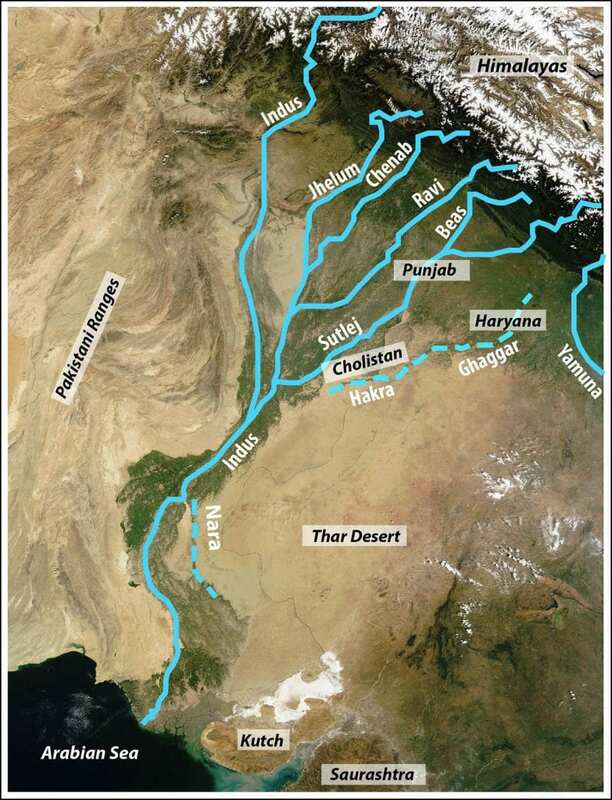 More than 4,000 years ago, the Harappa culture thrived in the Indus River Valley of what is now modern Pakistan and northwestern India, where they built sophisticated cities, invented sewage systems that predated ancient Rome’s, and engaged in long-distance trade with settlements in Mesopotamia. Yet by 1800 BCE, this advanced culture had abandoned their cities, moving instead to smaller villages in the Himalayan foothills. 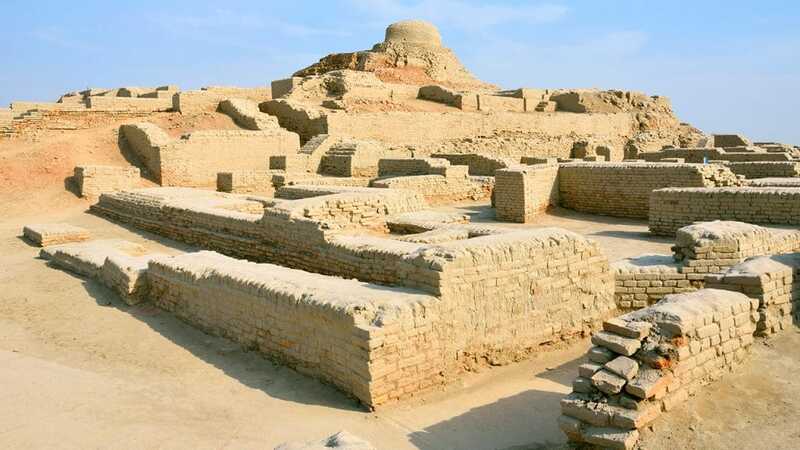 A new study from the Woods Hole Oceanographic Institution (WHOI) found evidence that climate change likely drove the Harappans to resettle far away from the floodplains of the Indus. 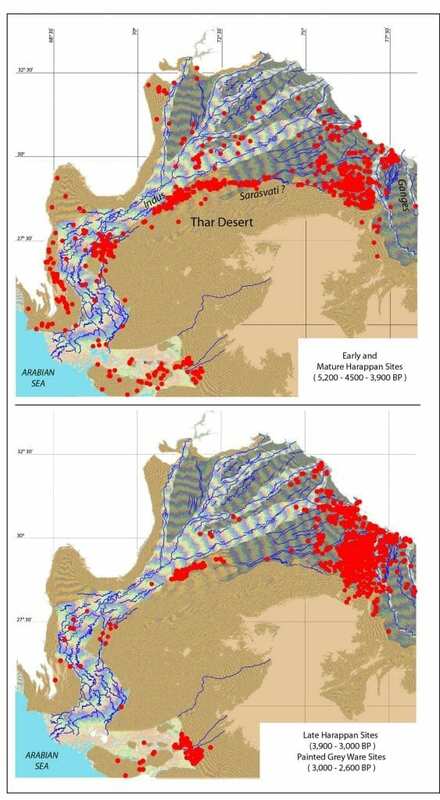 Beginning in roughly 2500 BCE, a shift in temperatures and weather patterns over the Indus valley caused summer monsoon rains to gradually dry up, making agriculture difficult or impossible near Harappan cities, says Liviu Giosan, a geologist at WHOI and lead author on the paper that published Nov. 13, 2018, in the journal Climate of the Past. Evidence for this shift in seasonal rainfall—and the Harapans’ switch from relying on Indus floods to rains near the Himalaya in order to water crops—is difficult to find in soil samples. That’s why Giosan and his team focused on sediments from the ocean floor off Pakistan’s coast. After taking core samples at several sites in the Arabian Sea, he and his group examined the shells of single-celled plankton called foraminifera (or “forams”) that they found in the sediments, helping them understand which ones thrived in the summer, and which in winter. Once he and the team identified the season based on the forams’ fossil remains, they were able to then focus on deeper clues to the region’s climate: paleo-DNA, fragments of ancient genetic material preserved in the sediments. During winter monsoons, he notes, strong winds bring nutrients from the deeper ocean to the surface, feeding a surge in plant and animal life. Likewise, weaker winds other times of year provide fewer nutrients, causing slightly less productivity in the waters offshore. “The value of this approach is that it gives you a picture of the past biodiversity that you’d miss by relying on skeletal remains or a fossil record. And because we can sequence billions of DNA molecules in parallel, it gives a very high-resolution picture of how the ecosystem changed over time,” adds William Orsi, paleontologist and geobiologist at Ludwig Maximilian University of Munich, who collaborated with Giosan on the work. Sure enough, based on evidence from the DNA, the team found that winter monsoons seemed to become stronger—and summer monsoons weaker—towards the later years of the Harappan civilization, corresponding with the move from cities to villages. The rains in the foothills seem to have been enough to hold the rural Harapans over for the next millennium, but even those would eventually dry up, likely contributing to their ultimate demise. “We can’t say that they disappeared entirely due to climate—at the same time, the Indo-Aryan culture was arriving in the region with Iron Age tools and horses and carts. But it’s very likely that the winter monsoon played a role,” Giosan says. The big surprise of the research, Giosan notes, is how far-flung the roots of that climate change may have been. At the time, a “new ice age” was settling in, forcing colder air down from the Arctic into the Atlantic and northern Europe. That in turn pushed storms down into the Mediterranean, leading to an upswing in winter monsoons over the Indus valley. Also collaborating on the study was Ann G. Dunlea, Samuel E. Munoz, Jeffrey. P. Donnelly, and Valier Galy of WHOI; William D. Orsi of Ludwig-Maximilians-Universität MuÌnchen; Marco Coolen and Cornelia Wuchter of Curtin University in Australia; Kaustubh Thirumalai of Brown University; Peter D. Clift of Louisiana State University; and Dorian Q. Fuller of University College, London. The work was supported by the National Science Foundation’s Division of Ocean Sciences and internal WHOI funds.